You don’t always get to pick when you move and fall moving season may mean that you need to prepare. Between sudden changes in employment, lease end dates, and other factors, you’re often lucky to have a seven-day window to choose from for your moving date. If you can choose, however, it’s usually best to move during the fall. You’ll have a much more enjoyable moving experience due to a number of factors. The biggest (and most obvious) factor is the temperature. Moving during the summer is awful. You have to move bulky furniture and heavy boxes in the sweltering summer heat, and many moving trucks don’t have particularly good air conditioning. Moving during the winter isn’t much better. While you can bundle up, it’s hard to use gloved or mittened hands for many of the tasks you’ll have to perform while you move. If your fingers get cold, however, it’ll be just as hard for you to maintain a good grip on your personal belongings. In the fall, you’ll usually experience dry, mild days. This is perfect for any sort of outdoor labor. You’ll skip the heat of summer, the cold of winter, and the rain of spring. While moving still won’t be fun, it’ll be a lot less miserable. It’s worth noting that these benefits still apply if you use a moving company. While your movers will provide lots of help with your move, you’ll probably wind up spending a lot of time outside of both your old home and your new home on moving day. If the weather is more bearable, you’ll be a lot happier. The second thing to consider is that moving is noticeably cheaper during the fall. The price of everything related to moving rises and falls according to supply and demand. The summer is incredibly popular for moving, so it’s often very expensive to just rent a truck, let alone hire a moving company. In the fall, you’ll get cheaper gear rentals, cheaper labor, and even cheaper boxes sometimes. If you want to save a little bit more money, you could even move in winter, but most people think that slightly higher moving costs are much easier to deal with than freezing weather and snow. No matter when you choose to schedule your move, it’s important to plan ahead and take seasonal changes into account. Dress appropriately for the local weather at BOTH ends of your move. This can involve donning or doffing layers of clothing while you’re en route. This might sound like overkill, but in many places of the country you’ll find dramatically different climates as little as 30 miles apart. Be sure to check the weather on both ends before you pack all of your clothes. It’s hard to think of fall without thinking of falling leaves. When you perform your move, be sure to sweep all pathways clear of debris before you start walking on those pathways while carrying heavy objects. It’s extra important to do this with stairs. 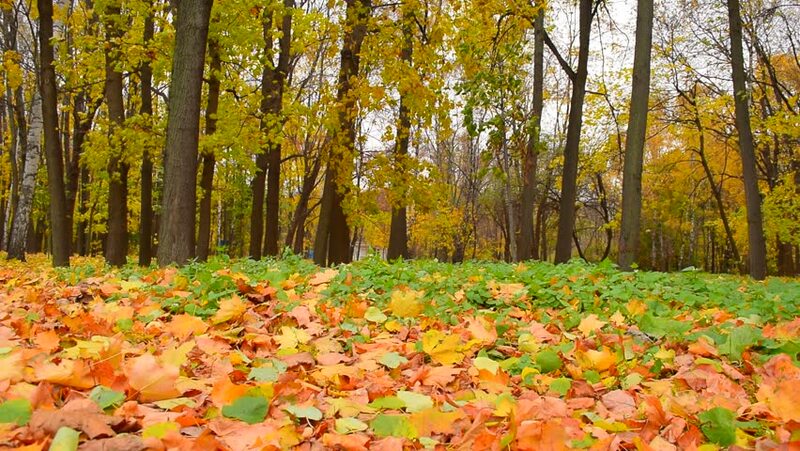 While a thin layer of leaves might seem innocuous, you can easily lose your balance and fall when a leaf slips under your foot. This becomes pretty dangerous if you’re carrying furniture or boxes of belongings. If you can, consider scheduling your move for fall. You’ll enjoy lower prices, better weather, and a beautiful view as you transition to your new home. As always, be sure to plan your move carefully and stay safe while you perform moving activities.